In my recent post about Etymology I said that I would introduce new terms on a regular basis and as I had some suggestions from a follower of the blog I decided to investigate into the words. The words are “Placebo” and Caesarian section” . ” I will please the lord in the land of the living” ( Psalm cxiv:9). From this comes the name given for the rite of the Vespers of the Office of the Dead, a prayer made for all souls in purgatory in All Souls Day ( November 2nd). In a medical sense it was first recorded in 1785 and in 1811 it was noted as ” a medicine given more to pelase than to benefit the patient”. And thus the word has been used widely in this context since then; in fact placebos were widespread until the 20th century. In 1903, Richard Cabot, and American physician, who was important for his advances in clinical hematology said that he was brought up to use Placebos but that he ultimately concluded ” I have not yest found any case in which a lie does not do more harm than good”. 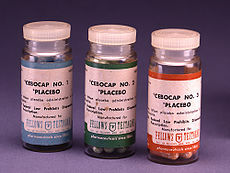 And nowadays, in 2011 Harvard Medical School started a Program in Placebo Studies – Program in Placebo Studies . The Lex Caesarea (imperial law) of (715–673 BCE) required the child of a mother dead in childbirth to be cut from her womb. And there is speculation that the Roman dictator Julius Casear was born by the method now known as C-section. However, this is apparently false as Aurelia Cotta, Caesar’s mother, lived long enough to watch his triumphs and advise him on policies, and although caesarian sections were performed in Roman times there is no record of the mothers ever having survived. The term has also been explained as deriving from the verb caedere, to cut, with children delivered this way referred to as caesones.Pliny The Elder refers to a certain Julius Caesar (not the famous statesman, but a remote ancestor of his) as ab utero caeso, “cut from the womb”, a godly attribute comparable to rumours about the birth of Alexander the Great. This and Caesar’s name may have led to a false etymological connection with the ancient monarch. 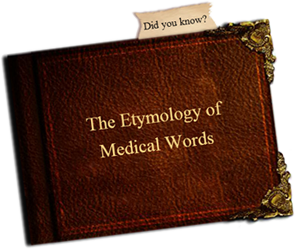 Notably, the Oxford English Dictionary does not credit a derivation from “caedere”, and defines Caesarean birth as “the delivery of a child by cutting through the walls of the abdomen when delivery cannot take place in the natural way, as was done in the case of Julius Cæsar”. Some link with Julius Caesar, or with Roman emperors in general, exists in other languages, as well. For example, the modern German, Norwegian, Danish, Dutch,Swedish, Turkish and Hungarian terms are respectively Kaiserschnitt, keisersnitt, kejsersnit, keizersnede, kejsarsnitt, sezeryan, and császármetszés (literally: “Emperor’s cut”).The German term has also been imported into Japanese (帝王切開teiōsekkai) and Korean (제왕 절개 jewang jeolgae), both literally meaning “emperor incision”. Finally, the Roman praenomen (given name) Caeso was said to be given to children who were born via C-section. While this was probably just folk etymology made popular by Pliny the Elder, it was well known by the time the term came into common use. My thanks go to Chiara Barrattieri, a technical translator working in Rezzato, Italy. Thanks very much Chiara for your suggestions. I would be delighted for more. All the best, and until the next post. The Oxford English dictionary states that curiosity is “a strong desire to know or learn something”. For me,curiosity is perhaps at the centre of everything, curiosity makes the world go round, makes us wish to change and progress. Doctors often study medicine because of this curiosity; they want to discover how the body works, and what to do when the body goes wrong. They are dictated by an innate wish to try to discover “why”. Like detectives. Writers are doing the same but perhaps at a different level; they are looking to try and find out why people do the things they do. But both possess this inquisitiveness, which is an essential part of their make up. When I asked my father why he studied medicine he answered because he was interested in people and he believed that by studying medicine he had the best chance of discovering about the human condition, with all its intricacies. Thus, for this curiosity, this desire to investigate into the human condition I have always believed that those doctors who write and those writers who practiced medicine were at the centre of things. And the tradition of doctor-writers, from Hippocrates through Osler, Chekhov, Somerset Maugham to Michael Crichton, is strong. In the Spanish language there are such names as Pio Baroja, Gregorio Marañon and Ramon Cajal. And so, this leads me to the reason for this post- Dr Gustavo Catalan, very much a man of both worlds; a man who, as an oncologist, has dedicated his life to treating men and women afflicted by cancer, and as a writer who has sought to delve into the human nature and its curiosities. 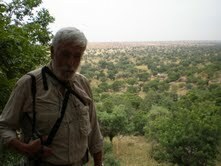 http://gustavocatalan.wordpress.com/. Its motto is ( quickly and directly translated) – “ If you are curious it will be a pleasure to share this curiosity with you”. Dr Catalan is following a strong tradition, with dare I say a “curiousity” at its centre. If you are curious about art, about medicine and about life in general I urge you to follow this new blog.